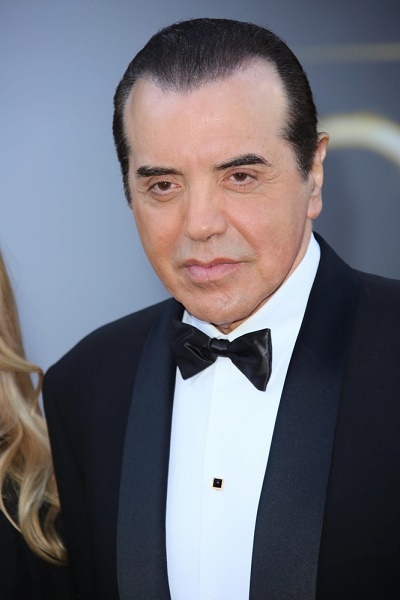 Place of Birth: The Bronx, New York City, New York, U.S.
Chazz Palminteri is an American actor, screenwriter, and producer. He is the son of Rosina (Anello) and Lorenzo Palminteri. Chazz is married to Gianna Ranaudo, with whom he has two children. Chazz’s paternal grandparents were Calogero/Calsgero Palminteri (the son of Francesco Palminteri and Antonia Napoli) and Rosa Bonfante (the daughter of Lorenzo Bonfante and Antonina Taurburello). They were from Menfi, Province of Agrigento, Sicily. They married in 1908 and moved to the United States in 1910.